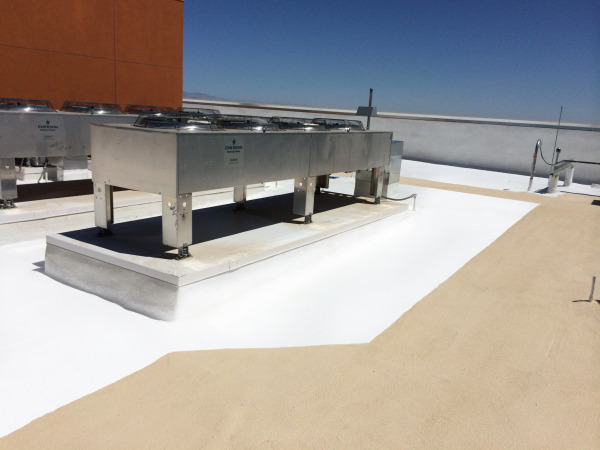 Kaiser Permanente approached National Coatings requesting a roofing system with a 20 year warranty that could provide them with high reflectivity to combat the harsh Ultra-Violet rays from the high desert. It was also necessary that the roofing system delivers superior durability due to the roof having high foot traffic to be able to service the HVAC system and solar panels. The goal was to combine both of these high reflectivity and superior durability properties into one system by embedding a course of granules between two coats of AcryShield A510 topcoat. This created a system where maximum reflectivity could be achieved while not sacrificing the high durability of a granulated surface. Walkways were also installed by applying National Coatings AcryShield A550 for even more durability. 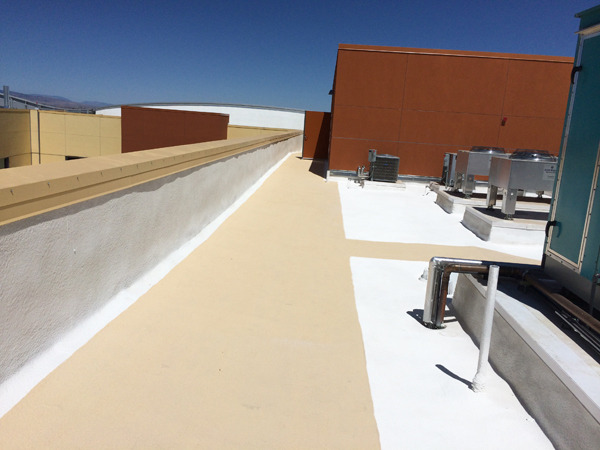 The A550 was applied in a sand color to provide contrast creating a tan on white leaving Kaiser with very good looking rooftop. For more information on our SPF Roofing Systems, download our FREE BROCHURE!